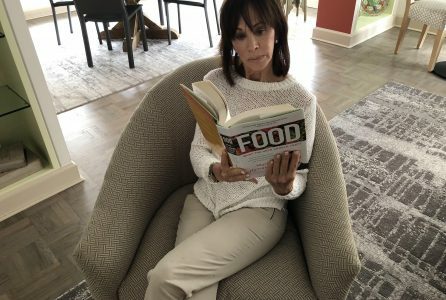 Mindy says it feels like there are hundreds of “nutrition experts” publishing new books each week offering the best plan ever. A favorite teacher of mine makes the claim that people are suffering from a “high fact diet.” I tend to agree. My clients are highly intelligent, highly functioning and fabulous men and women who come in with all kinds of nutritional information that doesn’t quite add up, certainly not for them as they are challenged by stubborn weight issues, chronic inflammation, digestive distress and hormonal issues. Sadly, most have resorted to self-soothing, yet sabotaging behaviors, searching outside of themselves for that often misguided and misleading solution to their frustration. It’s not their fault. Or maybe not so new. I know of what I speak. I spent over 20 years of my adult life fearing what food would do to me. This fear, along with much misinformation, plunged me into a relationship with food that was disordered, dark and ultimately dangerous. It wasn’t until I slowly learned to connect to and trust what my body needed that I could become empowered to embrace what food could do for me. Are you confused by “eat this, not that,” high protein, low carb, no fat, high fat, vegan, Paleo, Keto, grain based, grain free? Are you buying into the supermarket shelves lined with products designed to answer every craving — and creating new ones? It feels like there are hundreds of “nutrition experts” (all with conflicting advice), publishing new books each week offering the best plan ever — and friends, family and maybe even your personal trainer claiming they’ve found the perfect diet and you must try it too. We are all unique.Your needs are different than mine, as well as the client I saw before you. And that is true whether your goals are general wellness, digestive health, weight loss or recovery from an eating disorder. There is no one-size-fits-all approach to nutrition. It simply does not work. Your genetics, history, lifestyle and even your digestive system are as individualized as your fingerprint. Any nutritional protocol that doesn’t honor that is not worth your time or energy. Think about exploring and ultimately experiencing the food and lifestyle that’s optimal for you. That means getting to know yourself better than you ever thought you could. It means tapping into your hunger and understanding what drives it; it’s about discovering movement that honors your body rather than punishes it. It means nurturing and nourishing yourself in a way that creates resilience for your mind, body and spirit. Does that mean you should ignore the various dietary theories? Absolutely not. Take them in, look at the research, test them out, and pull out the pieces and parts that are appropriate for you. Slow down, listen deeply to the signs and signals from your body and mind. Pay attention to the voice that speaks from loving kindness and truth — not the story you’re attached to that no longer serves your body or your health-related goals. ♥ Keep an honest food log and journal not only of what you’re eating, but how it makes you feel. ♥ Remain open to figuring out what foods really are best for you. ♥ Honor your hunger. Many of us deny our hunger, fearing we can’t trust ourselves to know when we’ve had enough. ♥ Honor your satiety. If you find yourself overeating, ask yourself if there’s something else you’re hungry for or craving, outside of the kitchen. ♥ Know what you need is always shifting and that’s ok — your body’s needs shift regularly. ♥ Move in a way that makes you feel connected to the beauty around you. This transformation will guide you to the life you deserve and desire. 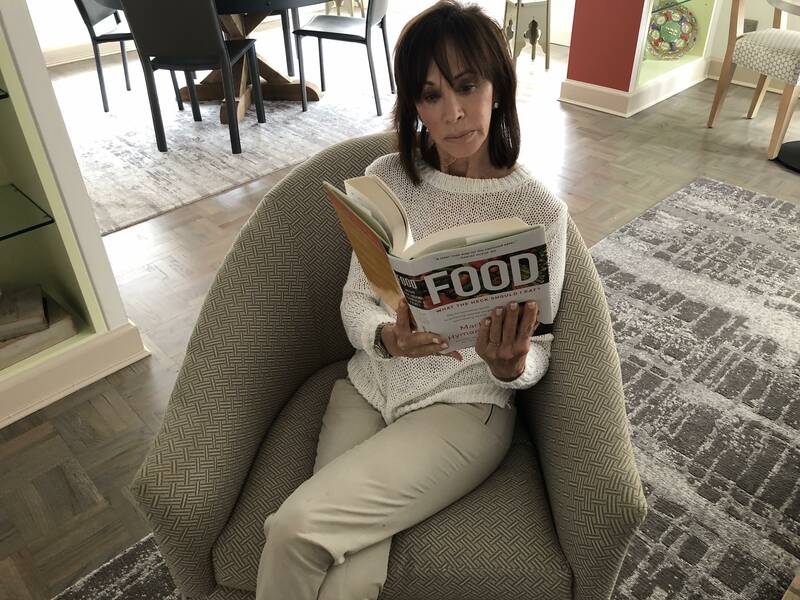 In addition to being a board-certified health coach and nutritional consultant, Mindy Gorman-Plutzer is a Certified Eating Psychology Coach in Manhattan. Mindy Gorman-Plutzer is the author of The Freedom Promise: 7 Steps To Stop Fearing What Food Will Do TO You and Start Embracing What It Can Do FOR You (Balboa Press). 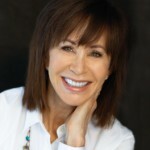 She has appeared on Doctor Radio, Huffington Post Live, ABC news.com/podcast, various syndicated radio shows, written for Mind Body Green, and is a regular contributor to TheFiftyPlusLife.com. She blogs regularly on all subjects related to mind, body and spirit. For more information, go to www.thefreedompromise.com. Email her at mindy@thefreedompromise.com, and follow her on twitter at @FreedomPromise.